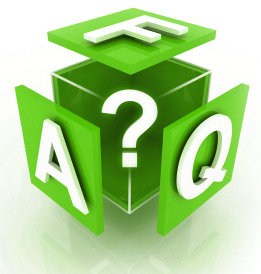 Q: What are the CCR requirements for the storage and parking of vehicles? CCR - The CC&R’s you signed and agreed to when you purchased your home do not permit storage of vehicles when they are in open view from any lot or right-of-way. Vehicle Defintion - The CCR's uses the term "Vehicles" to include "Vehicles, boats, trailers, trucks, campers, and recreational vehicles". Violations - When violations are noted, the Board will notify the resident of the violation. Ignoring the notice or repeated violations will prompt further action by the Board. The requirements and restrictions for vehicle storage are stated in our CCR's and has also been included in Meeting Minutes & Newsletters on this web site. Permanent Storage - The CC&R’s do allow permanent (more than 24 hours) parking or storage of vehicles on the lots, but if stored, vehicles shall be adequately screened from view from the adjacent rights-of-way and lots. Screening of such vehicles, other than garage storage with the door closed, must have the approval of the Architectural Control Committee (ACC) via a Modification Request. Temporary Parking - The CCR's allow temporary parking for 24 hours and additional time up to 1 week with written approval from the Board via an email or letter sent to the Board. If longer temporary parking is needed, send a letter or email to the Board at board@crystalridgehoa.org requesting approval for a longer time to park there including your address, the inclusive dates (arrival and departure) and assurance that you are minimizing any impact on your neighbors. Towing - The CC&R’s state that upon 48 hours notice to the owner of an improperly parked vehicle the Board of Directors has the authority to have towed, at the owner’s expense, any vehicles still visible from the right-of-way or adjacent residences that have been parked on any lot or within the right-of-way within 24 hours. Also see FAQ - Towing. CCR & Puyallup Municipal Code - For your convenience, the specific sections of the CC&R’s that relate to vehicle storage, enforcement of the CC&R’s and remedies available to the Board of Directors to secure compliance are shown below. Also below is a copy of the Puyallup Municipal Code regarding street parking. Note that the streets in Crystal Ridge are owned by the City of Puyallup and therefore are enforced as a "public street". Section 1. Exterior Maintenance by Owner. Each Lot and Residence shall be maintained by the Owner in a neat, clean and sightly condition at all times and shall be kept free of accumulations of litter, junk, containers, equipment, building materials, and other debris. All landscaping areas, including landscaping extending into the adjacent street right-of-way, shall be regularly maintained and trimmed to present a clean, neat, and well-maintained appearance. All refuse shall be kept in sanitary containers sealed from the view of any Lot; the containers shall regularly be emptied and the contents disposed of off the Properties. No grass cuttings, leaves, limbs, branches, and other debris from vegetation shall be dumped or allowed to accumulate on any part of the Properties, except that a regularly tended compost device shall not be prohibited. No storage of goods, vehicles, boats, trailers, trucks, campers, recreational vehicles, or other equipment or device shall be permitted in open view from any Lot or right-of-way. (Vehicles, boats, trailers, trucks, campers, and recreational vehicles shall be referred to as “Vehicles.”) This provision shall exclude temporary (less than 24 hours) parking of Vehicles on the designated driveway areas adjacent to garages on the Lots. This paragraph is not meant to disallow permanent (more than 24 hours) parking or storage of Vehicles on the Lots, but if stored, Vehicles shall be adequately screened from view from the adjacent rights-of-way and Lots. Screening of such Vehicles must have the approval of the Committee. Upon 48 hours notice to the Owner of an improperly parked Vehicle, the Board has the authority to have towed, at the Owner’s expense, any Vehicles still visible from the right-of-way or adjacent Residences that have been parked on any Lot or within the right-of-way for more than 24 hours. Notwithstanding the foregoing, Owners who have visiting guests intending to stay in such a Vehicle may secure written permission from the Board for such guests to park the Vehicle upon the Lot owned by the Owner for a maximum period of one (1) week. Such a privilege shall only exist, however, after the written permission has been obtained from the Board. Section 4. Enforcement. The Association (including the Declarant on behalf of the Association), the Board, or any Owner shall have the right to enforce, by any legal proceeding, all restrictions, conditions, covenants, reservations, liens and charges now or hereafter imposed by the provisions of this Declaration (including, but not limited to, Article XV, Section 15). Enforcement by the Association may also include placement of a “stop work” order on any construction that does not comply with the provisions of this Declaration, including, but not limited to, construction that is started by any owner without first complying with the provisions of this Article XV for architectural review. This action may be taken by the Association as deemed necessary in accordance with the provisions of Article IX, Section 4 herein. The authority to take action under the provisions of this section shall further extend to failure of any owner to pay the required review fees and submit the necessary plans and specifications required by the provisions of this section to the Association, prior to commencing with any work on said owner’s lot. Section 5. Attorney Fees. In the event that it is necessary to seek the services of an attorney in order to enforce any (1) provisions of this Declaration, or (2) lien created pursuant to the authority of this Declaration, the individual against whom enforcement is sought shall be personally obligated to pay any attorney fees incurred. If the Owner fails to pay such fees within sixty (60) days, such fees shall become a lien against the Owner’s Lot. In any legal action commenced in order to enforce the provisions of this Declaration, the prevailing party shall be entitled to recover all reasonable attorney fees and expert witness fees incurred in order to enforce the provisions of this Declaration. The prevailing party shall also be entitled to recover all costs. 10.36.110 Extended parking and certain vehicles prohibited. It is unlawful to park upon the public streets of the city for more than 72 consecutive hours any vehicle or motor vehicle. In addition, no person shall park a vehicle on any street or alley, except in an industrial zone, as defined in the zoning code of the city at any time except while actually loading or unloading if the vehicle is a truck and/or trailer or other conveyance which is over 84 inches wide. For the purposes of this section, “vehicle” means and includes every device capable of being moved upon a public highway and in, upon or by which any persons or property is or may be transported or drawn upon a public highway, and the term “motor vehicle” means every vehicle which is self-propelled. (Ord. 2119 § 1, 1987; Ord. 2048 § 1, 1985; Ord. 1953 § 1, 1982). It shall be an infraction for any person to move and repark a vehicle parked on the street within two blocks of the original parking space in order to avoid a parking time limit regulation. It shall be an infraction for any person to move and repark a vehicle parked in a parking lot to another space within the same parking lot in order to avoid a parking time regulation. For the purposes of this section, a block shall be defined as a city street or alley section located between consecutive intersections. A violation of this section shall be an infraction punishable by a fine of $50.00. In the event that the initial fine is not paid within 30 days of the date of issuance of the infraction, the fine shall increase to $90.00. (Ord. 2700 § 1, 2001; Ord. 2281 § 1, 1991).